Two question: 1.) Is it 1 and 3/4 inches to the center of the valve, and 2.) Does this 17" trim ring cover the entire outer lip of the wheel, fitting right up to the tire, or is there a bit of outer rim showing along the tire? Thanks! The trim ring is overall 1 3/4" deep and will show only the outermost edge of the rim flange when installed. 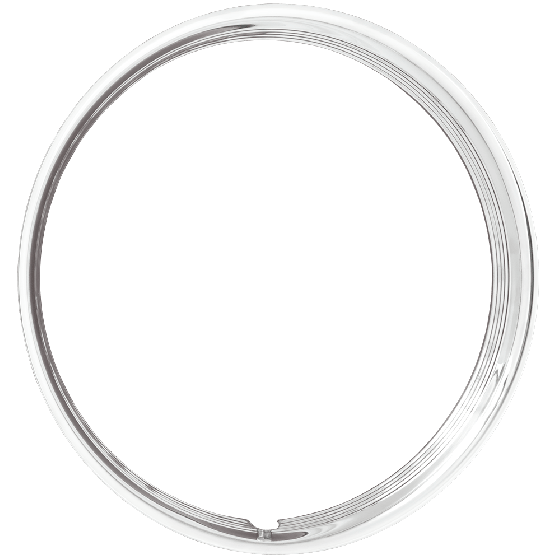 This 17" trim ring should fit any standard, 17" steel wheel.